In an earlier post I introduced you to ALASKA – one of the questions I asked them was – who is technically responsible for the outstanding recording of their music? The answer, Dave Baxter. 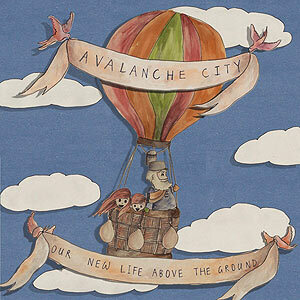 Now Dave has his own release available for free download, Our New Life Above The Ground. He and Alaska are more than kindred musical spirits, Alaska’s John Bristow (Drums) and Alice Crowe (Harp) both contributed to Dave’s recording session. Credits however for Our New Life Above The Ground are squarely with Dave, he not only recorded, produced and mixed it, he is a multi-instrumentalist too – playing drums, bass, guitar, mandolin, piano, tin whistle, mandolin, banjo, glockenspiel and the accordion – to name only some! His website says “Dave Baxter has written music for TV ads, documentaries and TV shows, if you want him to write for your project, or to record, produce or play on your recording please contact him at avalanchecity@gmail.com.” Hey, a boy’s gotta eat. You can download the album at his website and read more about Dave in a write-up with some Q&As at Josie Campbell’s neat blog, Thinking For You. This entry was posted in Music and tagged ALASKA, Alice Crowe, alt folk, Auckland music, Avalanche City, Dave Baxter, independant music, John Bristow, Josie Campbell, New Zealand indie bands, Our New Life Above the Ground, quietcore, unsigned bands. Bookmark the permalink.